The Classic Butler tray embodies a quintessential English simplicity of style. 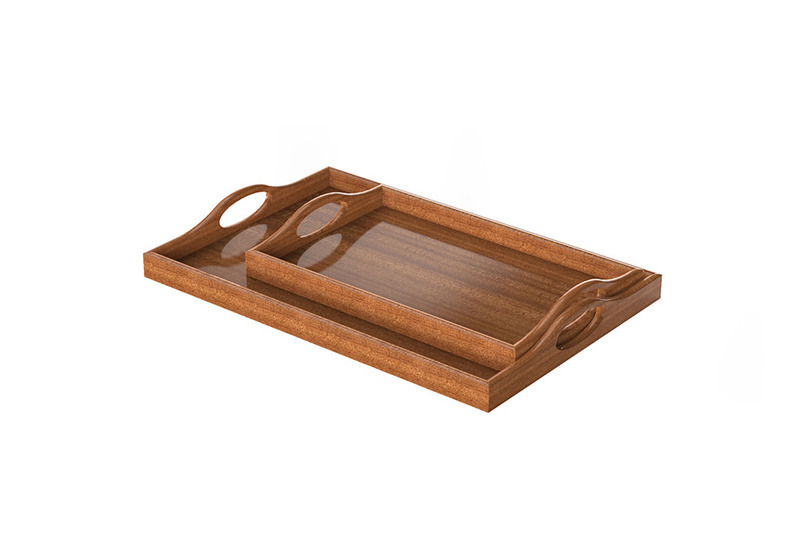 The integrated handles and lowered sides combine to provide a light and yet sturdy serving tray that will accommodate both traditional English and Continental breakfasts. Please note that there is a minimum order of 20 units for Walnut and Cherry wood types.